Over the past few days I’ve been walking you through the year since the release of Shockey Monkey 2. Way too much went into making of the new release and it’s fundamentally different in a spectacular way. Please tune in to the webinar, this Thursday at noon. Much of what Shockey Monkey 3 has become has roots in the problems ExchangeDefender has as we’ve grown – using dozens of applications, portals and sites to manage our business is kind of ridiculous. My partners came to the same realization – we can sell infrastructure and servers all day and night but it’s getting to the point that the technology is just good enough and replaceable enough that we need something else to stay in the account. That something else is a matter of accountability when stuff inevitably goes wrong. When stuff breaks, as it will, who gets to take care of it? In small business the DIY culture often puts the boss or the most senior person in charge of dealing with problems. Obviously, that’s a very lucrative area to address as a service provider. Unfortunately, the level of visibility is just not there because the controls are not there because there is no way to measure what is going on. 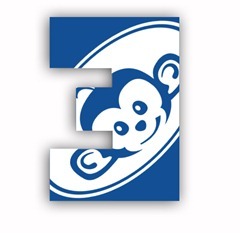 With Shockey Monkey 3 we are really pulling ahead and staking the software on the simple fact that people that make the business are the most important thing to track and manage. Not the support tickets, not the expenses, not the opportunities, not the invoices, not the quotes, not the schedule/dispatch, nothing else. Let’s face it, if you cannot account for the people that manage all that stuff how can you trust any of it? We have integrated the punch clock, checkin, timesheets, employee career path, accomplishments, reprimands, equipment, education, career goals, in/out board, working status (#waywo = Vladism for “What are you working on?”) and a bunch more. We’ve tied it in with the Unicorn as well. The key to running a successful business is effectively managing and motivating your people to do the best job possible. Always. Technology is there to help you. If you’re an IT Solution Provider, the technology and services you sell are there to help. But without properly accounting for how that technology is used, you’re just buying a lot of expensive gadgets that download a lot of updates. Now allow me to connect the dots. You sell servers, managed services, web sites, accounting, PoS equipment, terminals, laptops, tablets, right? What if you showed them how to put all this cool stuff to use? I mean actually show them how it’s used. When did the employee check in, what are they working on, when did they check out, what did they work on throughout the day, which accounts they touched and which projects they were involved in? Now for the close… what if you could sell them the system, the advice and the knowhow of this system to help them run their business as effectively as you do yours?